When a threat arises, there’s a lot that goes on in your body and mind. Vision narrows, concentration sharpens, perception becomes more precise and adrenaline courses through your veins causing your motor skills to deteriorate. All of this can put you in danger. The best way to make sure that your physiological changes don’t cause you to shut down is to focus on building muscle memory. This means hitting the outdoor and indoor shooting range regularly to practice the repetitive actions you’ll want to take when a threat materializes. It’s working on drawing and firing, shooting with one hand and making all of the other steps you’ll need to take when a threat materializes automatic. It’s pretty easy to reload in a dry, well-lit space when there’s no imminent threat. But can you do it in less-than-perfect weather? Can you quickly reload in low light or in the dark? Do you have to look at your gun? If you aren’t answering these questions with a confident affirmative, it’s time to practice. Practice hand-to-hand reloading. Work on your tactical reload, which occurs when you’ve expelled most of a magazine then reload a full magazine. Work on reloads in different levels of lighting. Practice maintaining a few rounds for later, just in case you need them. If you aren’t practicing reload techniques, you may not be prepared to protect yourself and others if there is a real threat. At the beginning and end of the day, shooting well comes down to precision. Even one errant shot can have horrific consequences. That’s why making sure you’re putting in range time is so important. 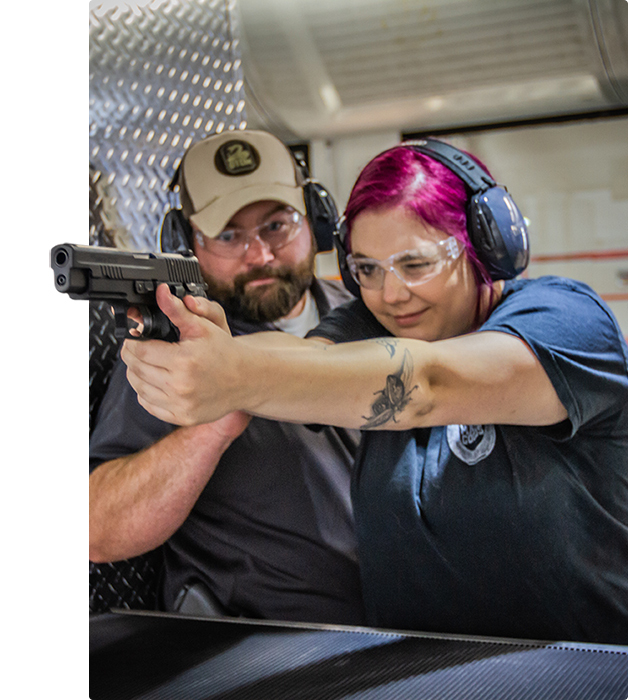 Going to the indoor shooting range, as well as the outdoor range on a regular basis is the best way to increase the likelihood that you will hit your real-life target when the moment of truth arrives. It allows you to sharpen your skills, acquire new ones and ensure you are prepared for any emergency. Las Vegas Shooting Center is the perfect place to practice your shot. You’ll receive supervision from our expert range shooting officers every step of the way, and will receive feedback on your technique and guidance on proper firearm maintenance and safety. Contact us at 702-778-5872 to schedule time at Las Vegas’ premier indoor shooting range.